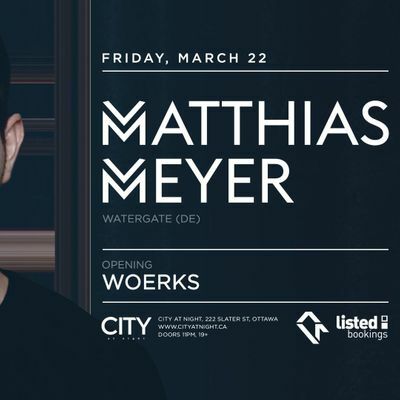 Friday, March 22 Cityscape Sessions proudly presents Matthias Meyer at City At Night, Ottawa. With a style that ranges from uplifting and orchestral to deep tribal grooves, long time Watergate resident Matthias Meyer has become synonymous with the underground sound of Berlin. On the music front, his recent releases include the Beatport Deep House number 1 ‘Hope’ alongside Ryan Davis and the Pete Tong endorsed remix of Butch - ‘Shahzrad’, which made his BBC Radio 1 Tunes of the Year list. These releases join a stellar discography that includes fan favourites such as Reichanbach, Tout Va Bien, November Rain, LA Strings, and of course, Infinity. 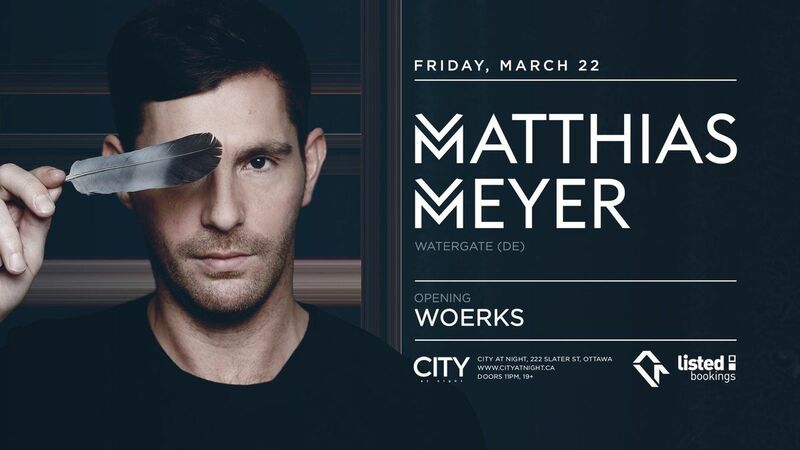 In 2018 Meyer toured extensively through Europe and North America, with appearances at Stereo in Montreal and Cityfox in New York among others. The Berlin-based producer also held a well-received residency at Pacha, Ibiza, alongside Hot Since 82, and will return to the landmark venue once more this summer as well as venturing further afield to play Ibiza bastions Hï and Heart. Matthias Meyer continues his rise in 2019. 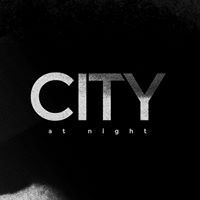 Don't miss this rare opportunity to see one of the world's best in the intimate setting of City at Night. 2019 Autism Speaks Walk in Kanata: Join Team Condors!